This Rp takes place during the events of after the fall of Reach, during the Human Covenant War. 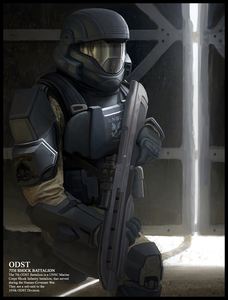 You can either be a Spartan, if so choose a 3 digit code and a code-name, or an ODST Trooper. 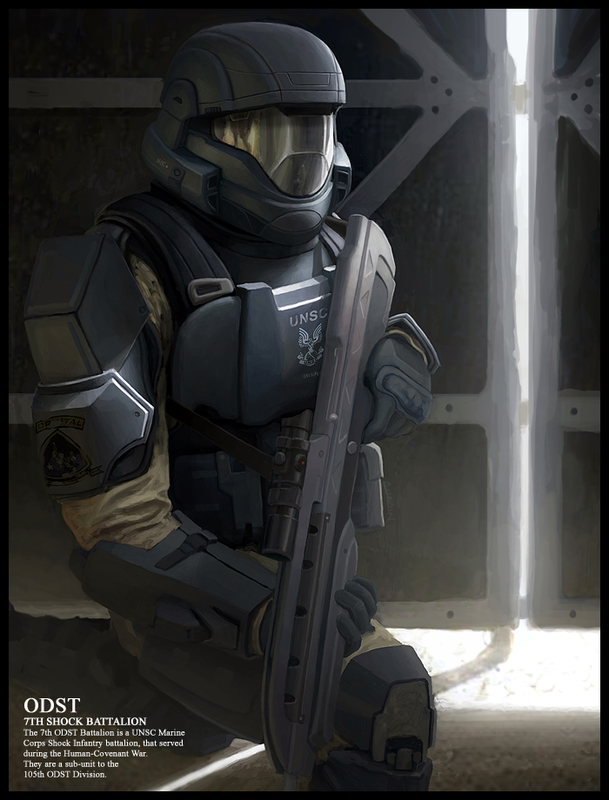 Choose your own weapons, Spartan can have to 1-6 weapons, ODST 1-3. The rest you make up. Personality: Keeps to himself alot but will occasionally join in conversations, likes to fight manly with only one other person next to him, hardly would put a fight down, and most likely to never take his helmet off. Kind, always focused during missions. Face: Light Stubble, Green eyes, a dark blood red scab/scare under his left eye from a training exercise when an Spartan tried to assassinate Thomas by changing his stun grenade and magnum rounds to real ones ,and Blond short hair. Relationship's:Joey S. Bishop "Hotshot" KIA. His chest plate is purple and he as purple stripes going around on his armor. His face looks like this.